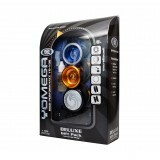 The Yomega YoYo company has been around since 1983 making quality YoYos, starting with the international best-seller, the world's first auto-returning clutch system YoYo - the Yomega Brain which is still available to buy now. Yomega has been prominent in taking YoYoing to the world and continues today to manufacture premium-quality YoYos for all levels of play. 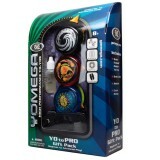 Yomega's Rookie to Pro system makes it easy to choose which YoYos should be used for your skill level. 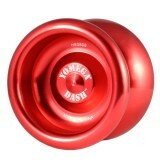 See our range of Yomega YoYos below! The Yomega 3 Piece Deluxe Gift Set is designed to please the more advanced player. This set incl.. The Yomega® 3 Piece Gift Set is sure to please any player! A great idea for a birthday or .. Introducing Yomega’s all new, value priced string trick yoyo! The Alpha Wing features a f..
Super cool auto-return function - great for learning sleepers! 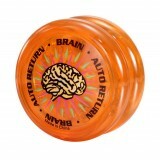 The Yo-Yo that returns automatic.. Wide, All-Plastic PRO-Level Yomega Throw! 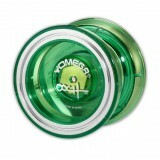 The Yomega® Crossfire is a wide, H-shaped yoyo that's.. The Maverick's Big Brother - Wider, Bigger, Heavier! 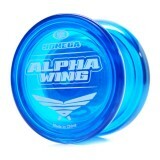 The Dash is similar to the Maverick, but h..
Yomega's Superb Beginner to Intermediate Looping YoYo! 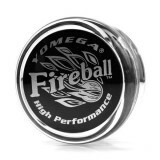 The Yomega Fireball is the Yo-Yo that st..
Yomega's NEW Elite Level All-Metal YoYo! 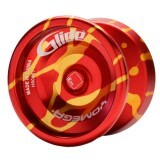 The Glide is Yomega's long - awaited professional leve..
Yomega brings full-metal YoYos to the masses! NOW with Standard Size C Bearing! Yomega’s.. Shaped like a UFO - Plays Out of this World! 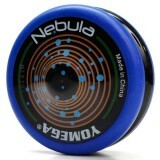 An amazing new looping YoYo, the Nebula features b..
Ooch's Pro-Level, All-Plastic 10-Ball Bearing YoYo! The Yomega® Ooch-Yo is designed by Yomega's..
SmartSwitch technology - turn the auto-return function on and off with a click! The first and o.. The King of looping YoYos is here! Bearing system Yo-Yo's mean speed! 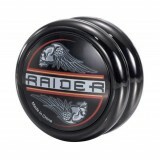 The Yomega Raider is the ..
Yomega's NEW Multi-Coloured Light-Up YoYo! 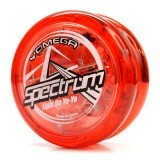 The Spectrum is the newest yo-yo from Yomega. It fea.. 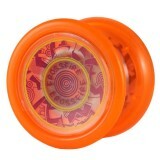 The Yomega Star Struck is the latest in Yomega's Elite range of unresponsive yoyos! Its h..